The flag of Malaysia incorporates a variety of elements in order to represent the government, people, and faith of the nation. The Malaysia flag is derived from the historical flag of Malaya, but the design has remained remarkably consistent despite the political changes that prompted the change in the first place. 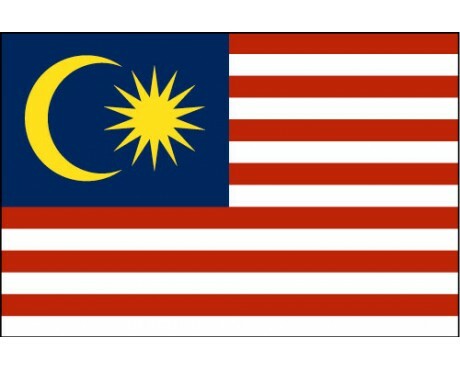 The flag of Malaysia consists of fourteen horizontal stripes that alternate between red and white that are combined with a blue square that bears a golden star and crescent in the canton. The star has fourteen points, which stand for the thirteen states that make up Malaysia plus the national government. The flag has fourteen stripes for the same reason. The crescent in the canton is a symbol of Islam, which is the dominant religion within the nation. 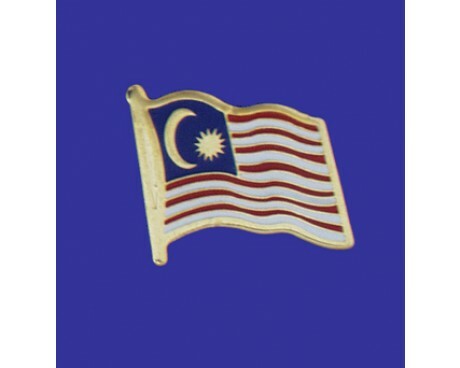 The blue canton itself represents the unity of the Malaysian people, while the gold color of the star and crescent is the traditional color of Malaysian royalty. The design bears some resemblance to the flag of the United States of America, but that similarity is largely coincidental. The stripes were taken from the flag of the British East India Company by the flag's designer, and were not intended as a reference to the American flag. 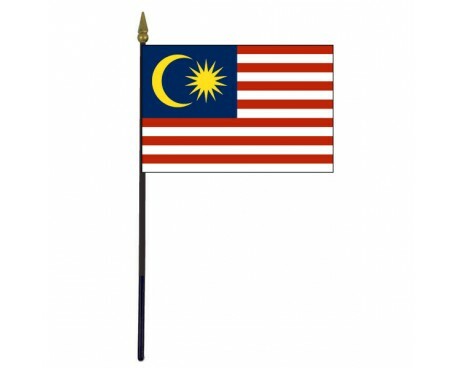 The Malaysia flag is an evolution of the flag of Malaya, which was designed by Mohamed Hamza. Hamza designed the flag in response to a competition that was sponsored by the government of Malaya. His design was identical to the modern flag except it had only eleven stripes and that the star had only five points. The star was changed to have eleven points in order to represent the eleven states that were part of Malaya at the time, but only after it had already been selected as the winning entry. It came into use in 1950. 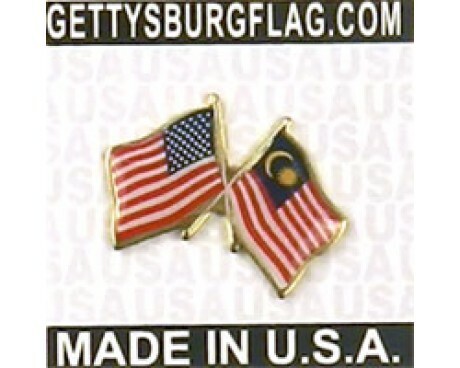 The modern flag came into use when the modern nation of Malaysia formed. It was formally adopted in 1963 when the government decided to add stripes to the flag and points to the star in order to honor the states that had joined the nation when it formed.